Designed to take a beating, the Champion Sports Rhino Poly Training Rope is ideal for cardio, core strengthening and overall conditioning. The training rope is made from durable polyester that can stand up to even the most intense waves, slams and climbs. It has PVC handle grips that are comfortable to hold during longer training sessions. 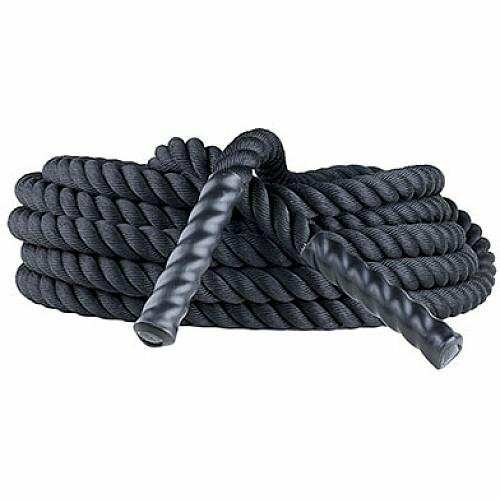 The heavy rope is available in two diameter sizes, with three different lengths for each. Troy Barbell & Fitness VTX USA Training Rope 50ft.